We value the privacy of our truckers bookkeeping client accountants and bookkeepers and their truckers bookkeeping clients and will always function as the undisclosed bookkeeping process management back-office outsource bookkeeping support to our client accountants. We will not divulge directly or indirectly to any person or otherwise use, disseminate, disclose, lecture upon, or reveal in anyway whatsoever your intellectual property, or proprietary information and will maintain complete secrecy of all such information entrusted to us. For confidentiality, data security and quality communication, we located our truckers bookkeeping data capture centre in Barbados. ■ Barbados is located near-offshore to Canada and the USA. ■ There are no time zone challenges. from Canada and Major U.S. cities, by major airlines. Barbados offers a large available pool of highly motivated, high school and university graduates that will allow us to consistently grow as required to meet our bookkeeping clients data entry work flow volumes. 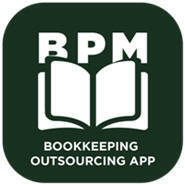 We are a focused bookkeeping process management service provider doing just one thing. Providing bookkeeping support outsourcing services to accountants and bookkeepers looking for a cost competitive way to move their truckers bookkeeping work-flow system from paper data, without having to invest in new and emerging technologies or infrastructure. This means, accountants will no longer have to hire and train truckers bookkeepers, who will usually take the new knowledge as an idea to start their own truckers bookkeeping business as your competitor. This also means eliminating the need to have and invest in document storage cabinets and space, the related document ship-back task and cost, to send these processed paper files back to clients. Our bookkeeping data capture staff are trained by experienced Canadian and USA Truckers Accountants. Our data capture staff training is on-going, with floor-walking supervisors to ensure accurate expense classification, to help make the profit/loss reports more meaningful for accountant and their trucking owner operator clients. A near offshore bookkeeping data entry facility created to relieve accountants of the labour-intensive paper to data task required to provide bookkeeping service to Owner-Operator truckers. BPM will allow accountants to focus on doing the required tax filings for their truckers bookkeeping clients, without having to deal with the processing and management of the paper document received from truckers. Copyright © 2002-2019 BPM Outsourcing, Inc. All Rights Reserved.